Success for the host nation, as play concluded on the penultimate day of action, Saturday 29th April, at the Seamaster 2017 ITTF Challenge Chile Open in Santiago, local supporters had cause to rejoice. Valentina Rios won the Under 21 Women’s Singles title. Coached throughout by her father, Hernan Rios; she secured the title by overcoming Argentina’s Candela Molero, in four games (11-8, 6-11, 11-7, 11-8) to earn a belated birthday present. She celebrated her 15th birthday just two weeks ago on Saturday 15th April. “It is with great pride I represent my country and complete this achievement; I hope to repeat this success in the years that I have left to play this category, I want to dedicate this win to all those who support me, especially my family.” Valentina Rios. Defeat for Argentina at Chilean hands; in the corresponding Under 21 Men’s Singles event it was the reverse scenario. Horacio Cifuentes after overcoming Brazil’s Rafael Torino at the semi-final stage (11-9, 11-3, 11-6), secured the title at the final expense of Juan Lamadrid (13-11, 11-8, 11-8). Earlier Juan Lamadrid had received a walk-over against Argentina’s Francisco Sanchi who at the end of the opening game was forced to retire owing to injury. 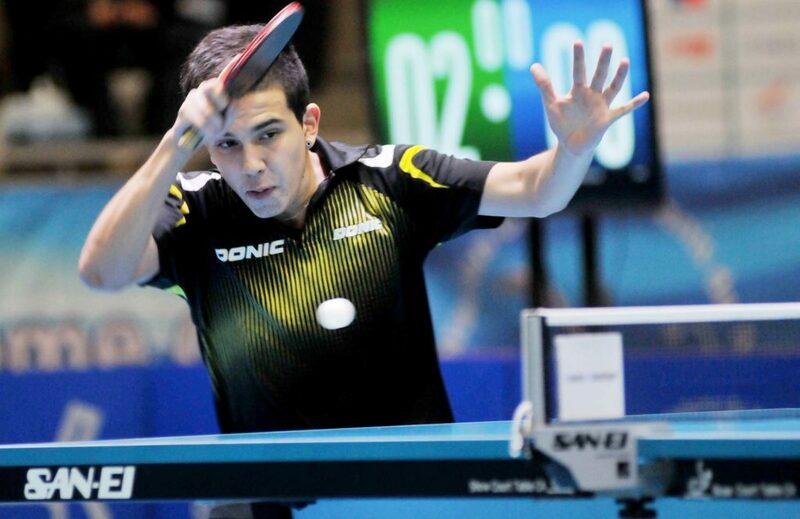 Notably it is the first time that a player from Argentina or from Chile has won an Under 21 title at either an ITTF Challenge Series or ITTF World Tour tournament; in Santiago history was written.